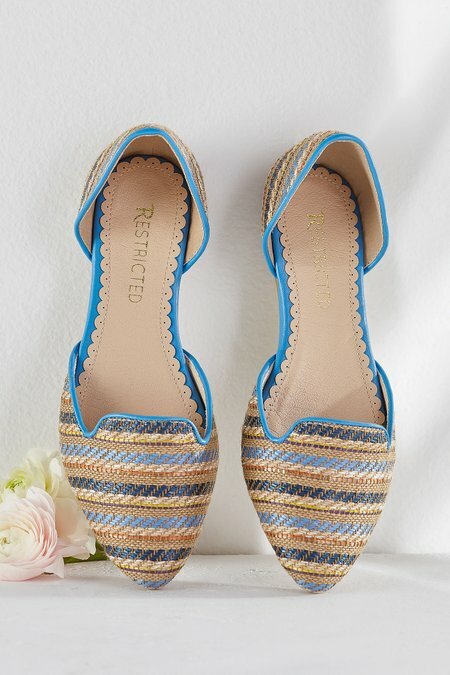 Lighten up and sparkle in these split-design flats, shimmering with golden highlights between textural woven raffia stripes. A point toe lifts the casual look and a padded footbed and rubber sole add comfort details. 1/4" heel.